Our mint is flourishing throughout our herb garden and I am ecstatic because I love the unique flavour and fresh, aromatic scent that evokes fond memories of summery mojitos, spicy green salads, chocolate mint cookies, and lime and mint lemonade. Fresh mint is a versatile, distinct herb that deserves a special place on a menu and in our household on the morning of my first university exam I chose to blend a delicious, thick smoothie with ingredients we either grow organically or have on hand no matter the time of year. Blend all ingredients until thick and smooth. You may add natural yoghurt or substitute coconut milk for some of the coconut juice for a creamier texture. 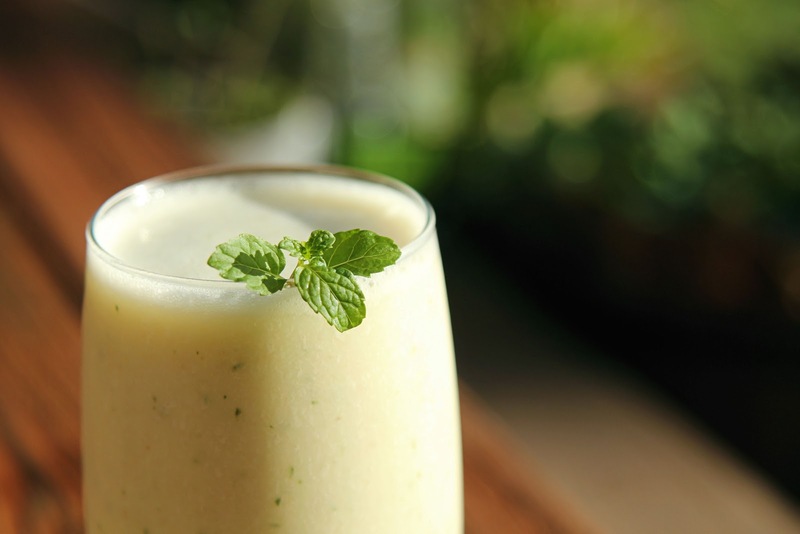 I've also tried unsweetened almond milk in this smoothie and it tastes incredible! 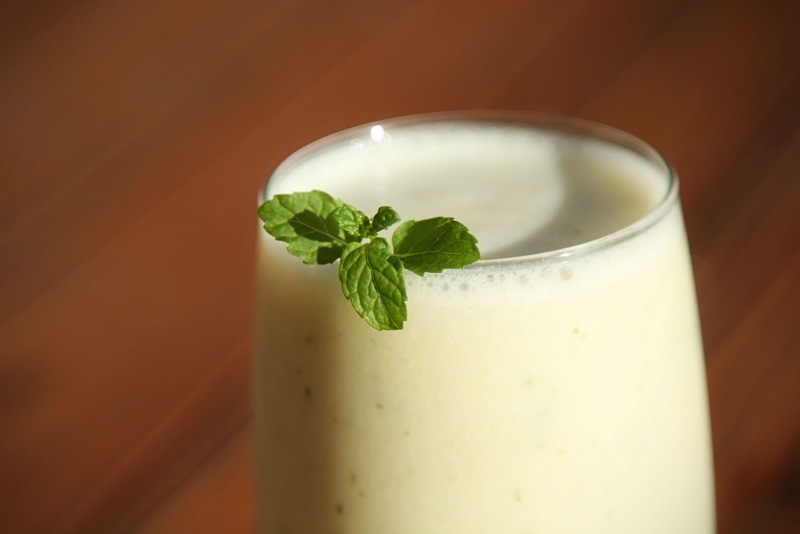 Fresh mint, smooth blended coconut and dreamy sweet banana make for a delicious, healthy and stimulating smoothie that will help to settle your butterflies. 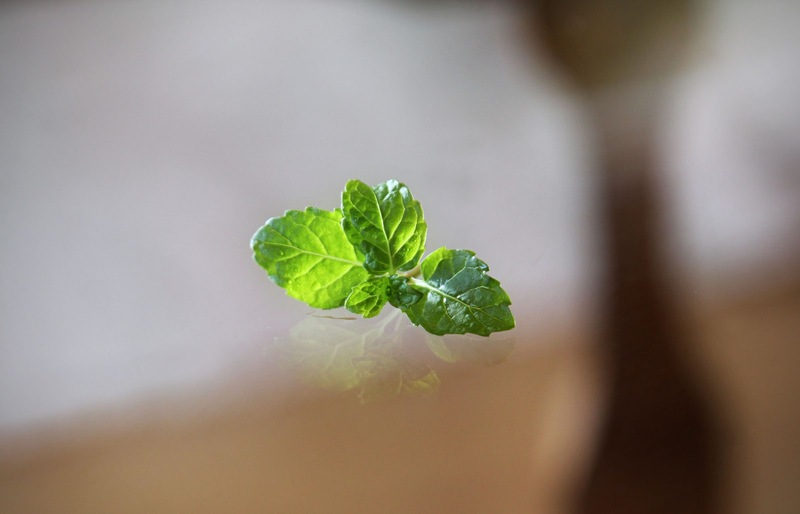 Mint has been used medicinally to treat indigestion as it can aid digestion. I found it particularly refreshing before my exam and managed to remain calm and relaxed as my pen hit the exam paper. You have one week to enter our giveaway, if you haven't entered yet, the link can be found here and some of the items available are featured below. Looks delsih, lady! 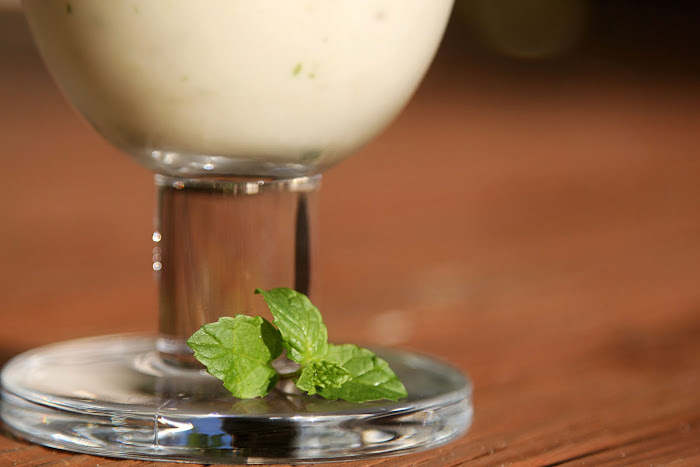 I LOVE mint in smoothies. Are we talking 'lusty maca root'...because that was a side effect I didn't expect! Yes! I couldn't believe it, thought it was a bit of hype. It goes to show, you should NEVER underestimate the power of super foods! How've you been Sar? I hope you and Sam are keeping warm this long weekend.